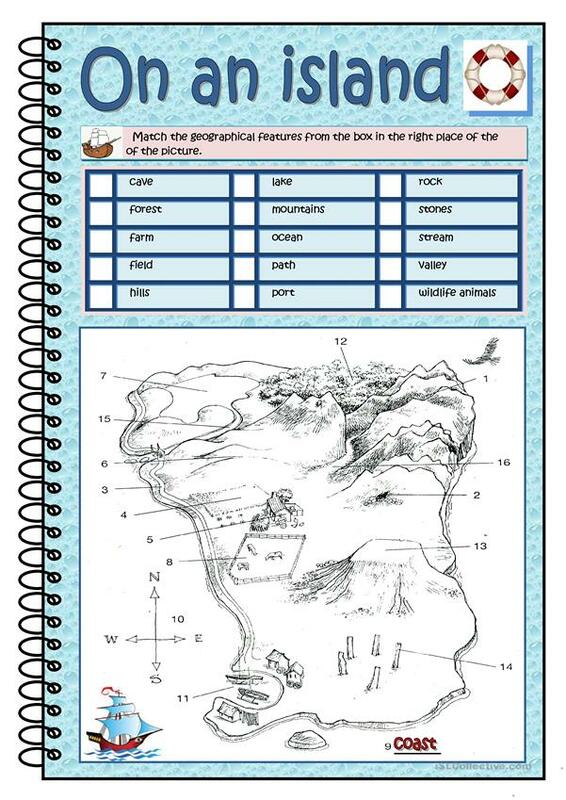 Vocabulary related to geographical features. Also useful to revise prepositions of place. I have reuploaded because I found a mistake. Sorry. The above downloadable printable is meant for high school students, elementary school students and adults at Elementary (A1) and Pre-intermediate (A2) level. It is great for revising Prepositions and Prepositions of place in English, and is excellent for strengthening your groups' Speaking and Reading skills.